Check out these great Las Cruces New Mexico festivals this year! Las Cruces New Mexico festivals and events – Here is your complete list of all the top festivals and events for Las Cruces this year. Las Cruces New Mexico is known as one of the best cities in the nation for festivals and events scheduling. Here is your list of all the top events in Las Cruces New Mexico listed by month. Select the event you would like to get more information on, where applicable and go to the festival page. The exact dates vary from year to year so please check the links where available to learn exact dates for current year. Click here if you would like to see all the top New Mexico festivals and events or to learn more about the New Mexico State Fair. Here is our updates on Las Cruces and New Mexico’s top events and festivals for this year. Please leave a comment below if you notice any errors with these NM dates or locations. Here are your top listings for events and festivals in Las Cruces New Mexico this January. Here are your top listings for events and festivals in Las Cruces New Mexico this February. Now known as “The Midtown Men,” join Tony Award winner Christian Hoff, Tony Award nominee J. Robert Spencer, Michael Longoria, and Daniel Reichard as they perform hits from Frankie Valli & The Four Seasons, The Beatles, The Beach Boys, Motown, and more. Las Cruces, also known as the City of Crosses, is the county seat of Dona Ana County, New Mexico, United States. The population was over 100000 in 2014 making it the second largest city in the state, after Albuquerque. Las Cruces is the largest city in both Dona Ana County, and southern New Mexico. It is the principal city of a metropolitan statistical area which encompasses all of Dona Ana County and is part of the larger El Paso–Las Cruces combined statistical area. Las Cruces is the economic and geographic center of the fertile Mesilla Valley, which is the agricultural region on the flood plain of the Rio Grande which extends from Hatch, New Mexico to the west side of El Paso, Texas. 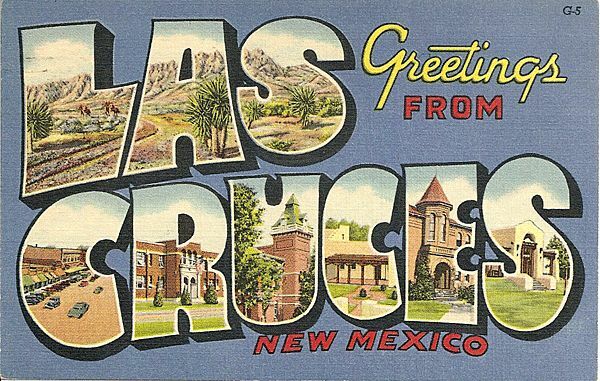 Las Cruces is also the home of New Mexico State University (NMSU), New Mexico’s only land grant university. The city’s major employer is the federal government on nearby White Sands Test Facility and White Sands Missile Range. Recently the city has been home to many of the retired from across the country. The majestic Organ Mountains, ten miles (under 16 miles) to the east, are dominant in the city’s landscape, along with the Dona Ana Mountains, Robledo Mountains, and Picacho Peak. Las Cruces lies 200+ miles south of Albuquerque, New Mexico, 150 miles south of Socorro, New Mexico and 45 miles north of El Paso, Texas. Spaceport America, which lies 40 miles north of Las Cruces, has seen the completion of several successful manned, suborbital flights. The city is also the headquarters for Virgin Galactic, the world’s first company to offer sub-orbital spaceflights. Here are your top listings for events and festivals in Las Cruces New Mexico this March. Here are your top listings for events and festivals in Las Cruces New Mexico this April. Walk MS is a rallying point of the MS Movement, a community coming together to raise funds and celebrate hope for the future. Join us at Young Park on April 12 for a 1, 3 or 5 mile walk and help raise funds for local programs, education, and MS research. Here are your top listings for events and festivals in Las Cruces New Mexico this May. May 15, 2014 – The colorful procession around the New Mexico Farm & Ranch Heritage Museum’s campus is a celebration of a long-time agricultural tradition in this region. The museum’s livestock, plants and irrigation ditch will be blessed. New Mexico Farm & Ranch Heritage Museum. Celebration and Fireworks Commemorating the adoption of the Declaration of Independence in 1776, Las Cruces celebrates with a parade of floats decorated with electric lights. Experience live entertainment throughout the day plus a spectacular fireworks display at night. All events are free and open to the public. via Las Cruces Convention and Event Visitors Bureau – Las Cruces, New Mexico. Here are your top listings for events and festivals in Las Cruces New Mexico this October. Top reasons Las Cruces New Mexico festivals will be awesome this year! The Border Book Festival occurs the last weekend in April. It features a trade show, readings, workshops, panels, lucha libre, and family storytelling. The festival was founded in 1994 by authors Denise Chávez and Susan Tweit, and Chávez is the Executive Director of the festival. Two wine festivals are held each year, one over Memorial Day weekend and one over Labor Day weekend. They are held at the fairgrounds just west of the city. The Whole Enchilada Fiesta, held the last weekend in September, is southern New Mexico’s most popular festival, with about 50,000 people attending each year. The centerpiece is the making of a large flat enchilada. The fiesta started in 1980 with a 6-foot (1.8 m) diameter enchilada, and it has grown over the years. In 2000 the fiesta’s 10 1⁄2-foot-diameter (3.2 m) enchilada was certified by Guinness World Records as the world’s largest. After the enchilada is assembled it is cut into many pieces and served to the fiesta attendees. The enchilada is the brainchild of local restaurant owner Roberto V. Estrada, who directs its preparation each year. The celebration also features a parade, live music, art and crafts, athletic events, a carnival, and a car and motorcycle show. The Renaissance ArtsFaire, founded in 1971, includes a juried art show and is put on the by the Dona Ana Arts Council each year in November. It is held at Young Park.